All About Ufone Internet Packages: Hourly, Daily, 3 Day, Weekly, Fortnightly and Monthly Bundles for Prepaid and Postpaid Customers. Ufone or Pak Telecom Mobile Limited is the GSM cellular service provider in Pakistan. Ufone was the third cellular operator to enter into the Pakistani telecom market which started its operations in Islamabad in 2001. PTML is an exclusively owned subsidiary of Pakistan Telecommunication Company Limited (PTCL). In 2006 Ufone become the part of the Etisalat network due to the privatization of PTCL. In the list of the four telecom operators in Pakistan Ufone is the smallest GSM mobile service provider with 21 million subscribers and also with the 13 per cent of market share. Ufone has selected Rashid Khan as its CEO who was the CEO of Mobilink Jazz from 2008 to 2014. In February 2019 Ufone has successfully launched its 4G/LTE with a speed of 5 Mhz in order to compete its rivals. Today our readers who are the customers of Ufone can have the complete details of all the Ufone Internet Packages. All the below mentioned Ufone Internet Packages are for the prepaid subscribers and they can get them at affordable rates. So what are you waiting for stay in touch with your friends and family with the Ufone Internet Packages 2018. 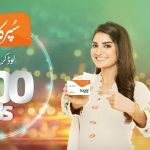 Below are the complete details about the Ufone 3G/4G internet Packages 2018 including Ufone Hourly Internet Packages, Ufone Daily Internet Packages, Ufone 3 Day Internet Package, Ufone Weekly Internet Packages, Ufone monthly Internet Packages, Ufone 1GB Internet Package, Ufone Mega Internet Packages and many others. Today you will find here the complete details or Ufone Internet packages, subscription and charges of all the Ufone internet packages. All the Ufone Internet Packages are offering the different data packages with the different affordable prices. With the Ufone Hourly Internet Packages 2018 customers can enjoy uninterrupted internet for one hour. Below are the complete details of Ufone hourly internet packages 2018, how to subscribe? how to unsubscribe, activation code, charges and validity. Simply dial the desire code and enjoy the seamless internet connectivity with Ufone. The Ufone Daily Internet Packages 2018 let the customers to remain connected with the friends and family with the uninterrupted internet for 24 hours a day. Below are the complete details of Ufone daily internet packages 2018, how to subscribe? how to unsubscribe, activation code, charges and validity. You just need to dial the desire code from your mobile phone to activate the daily internet package to enjoy the continuous internet connectivity with Ufone. Ufone is also offering the 3 day internet package for its customers. Ufone users can remain in touch with their friends and family with the continuous internet connectivity for 3 days. Below are the complete details of Ufone 3 day internet package 2018, how to subscribe? how to unsubscribe, activation code, charges and validity. Just dial the code and enjoy 100MB for 3 days along with the unlimited WhatsApp, Facebook, Twitter and Line. Forget about dialing to code daily and subscribe to the Ufone Weekly Internet Packages 2018 remain in touch with their friends and family for the whole week. With the Ufone Weekly Internet Packages 2018 you can also get the free unlimited WhatsApp, Facebook, Twitter and Line on activation. Below are the complete details of Ufone weekly internet package 2018, how to subscribe? how to unsubscribe, activation code, charges and validity. Just dial the code and enjoy. Just subscribe the any of the below Ufone Monthly Internet Packages 2018 and enjoy continues internet with Ufone for the 30 days of the month and remain in touch with their friends and family. With the Ufone Monthly Internet Packages 2018 you can also get the free unlimited WhatsApp, Facebook, Twitter and Line on activation. Below are the complete details of Ufone monthly internet package 2018, how to subscribe? how to unsubscribe, activation code, charges and validity. Just dial the code and enjoy the Ufone internet for the whole month in affordable rates. 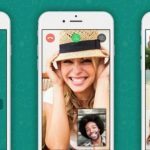 Ufone Social Internet Packages 2018 are the extremely wonderful offers to use unlimited WhatsApp, Facebook, Twitter and Line for the 24 hours a day upon activation. Ufone has introduced the new 3G Mega Internet package for its subscribers. Now the Ufone subscribers can enjoy the 1GB of internet daily with the 3G Mega Internet Package. This is only for prepaid customers. Ufone Free Facebook Offer 2018 Lets You Surf Facebook Messenger, WikiHow, Wikipedia, Accuweather, Bing and Girl Effect absolutely Free. For hourly bundles multiple subscription are allowed after I hour. Multiple subscriptions are allowed for Streaming bundle as well. Streaming bundle offer is for prepaid customers only to watch videos on Dailymotion and YouTube. An FUP of 500 MBs per day will be applied on Daily Light, Daily Heavy, and Special Daily. An FUP of 2 GB will be applied on Weekly Light bucket. Multiple subscriptions are allowed for Monthly Light, Monthly Heavy & Monthly Max buckets. All postpaid internet buckets are offered one month. You can also subscribe to any the internet bucket by dialling *3#. You can check the renaming incentives by dialing *4545#. If you do not want o use 3G internet service, just deactivate it by dialling *7701#. For more information visit the Ufone Official Website. Ufone Internet Packages: Daily, Weekly and Monthly For Prepaid and Postpaid Customers.All About Ufone Internet Packages: Hourly, Daily, 3 Day, Weekly, Fortnightly and Monthly Bundles for Prepaid and Postpaid Customers.